The New International Version has become an immensely popular translation since it was first published in 1979. Its particular success has been to communicate the thought of the Biblical writers in clear idiomatic English. 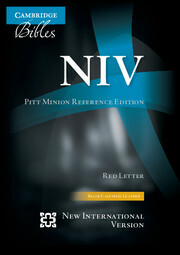 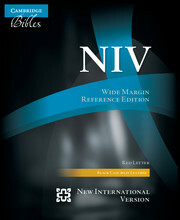 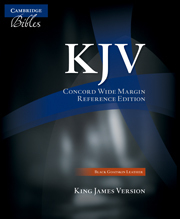 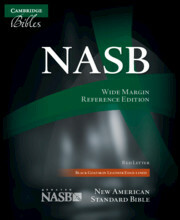 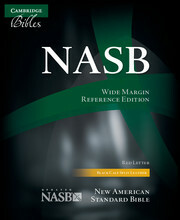 The Wide Margin Edition has all the benefits of the NIV translation: • thorough central cross-references • comprehensive footnotes • special notes for parallel passages The Cambridge Wide Margin has wide, clean margins all around the double-column text, enabling readers to record their own notes and insights next to the verse to which they relate. 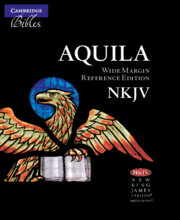 It is therefore printed on paper specially chosen to sustain hand-written notes in ink.